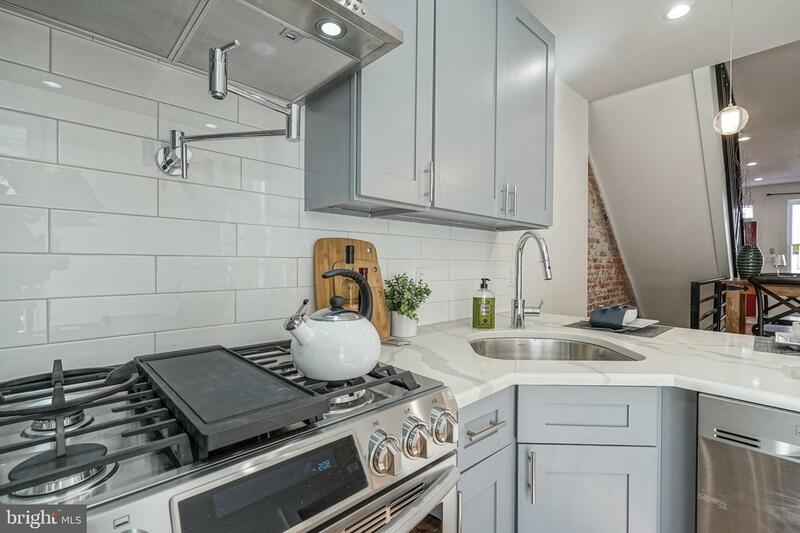 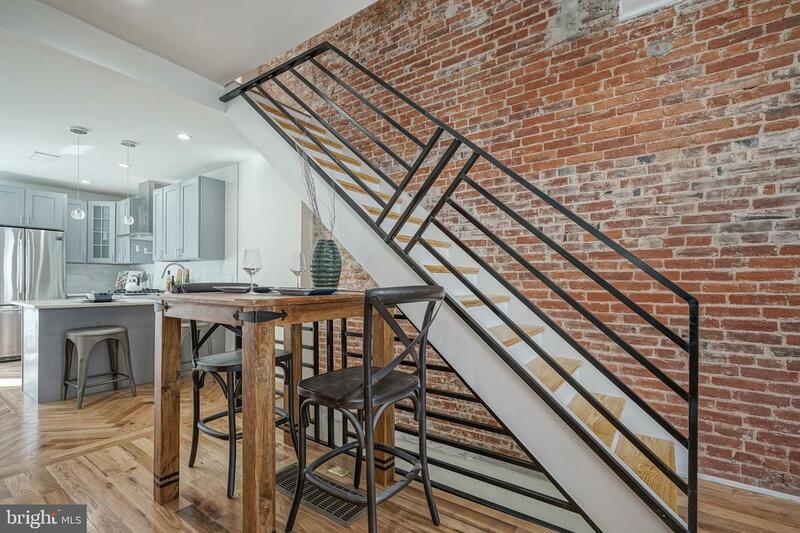 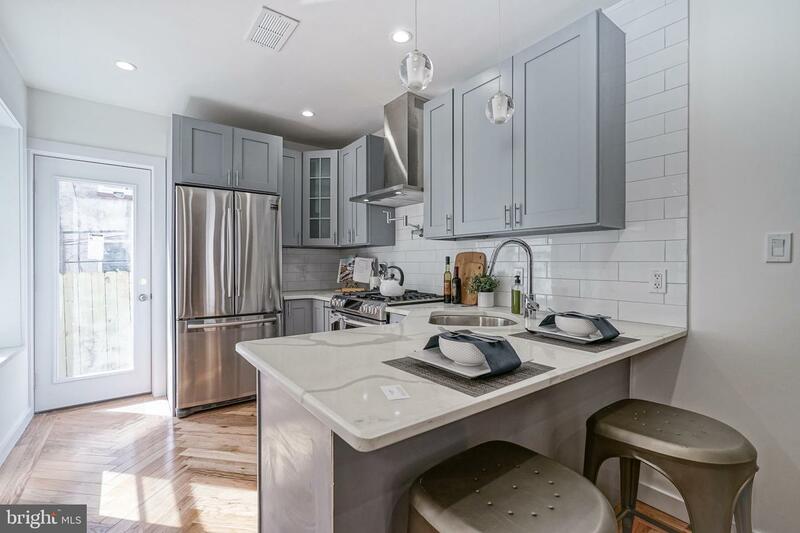 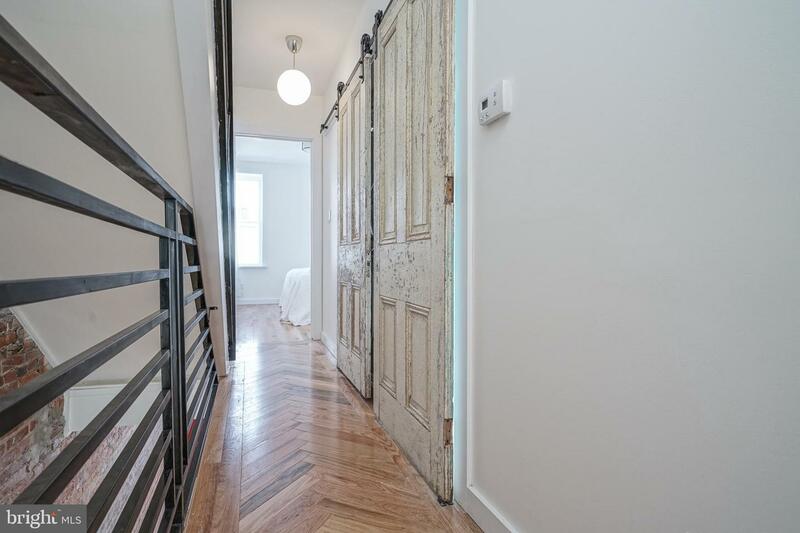 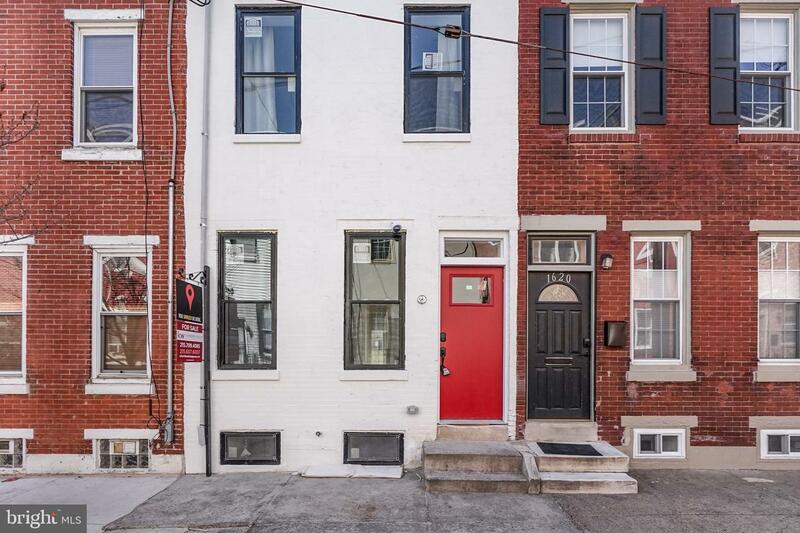 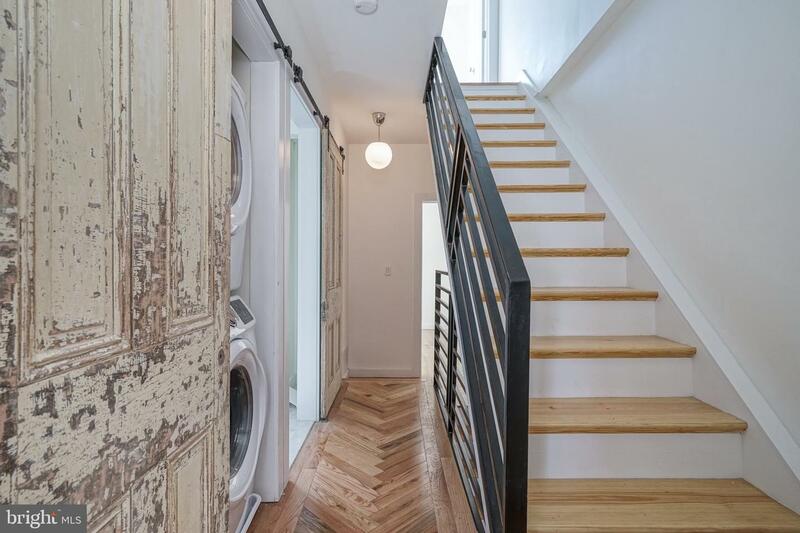 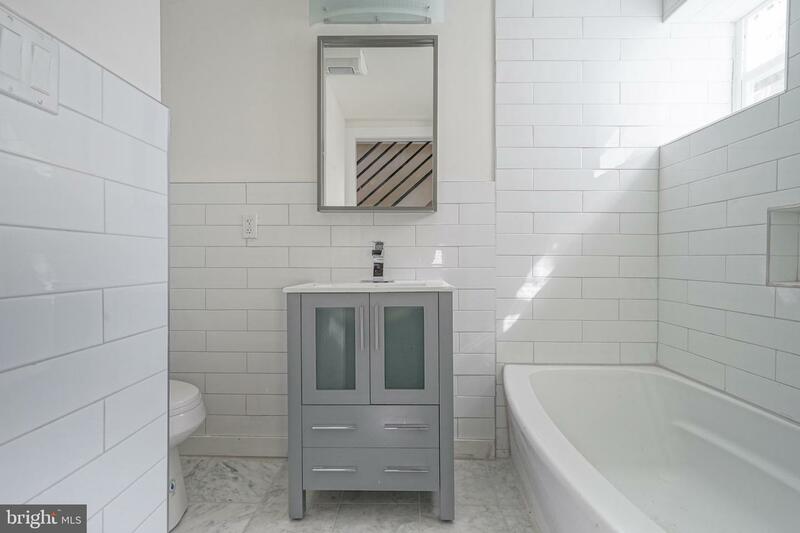 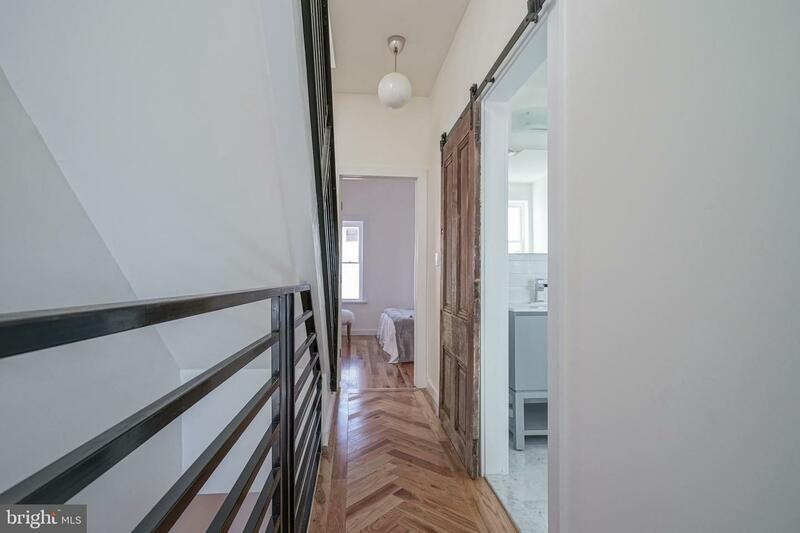 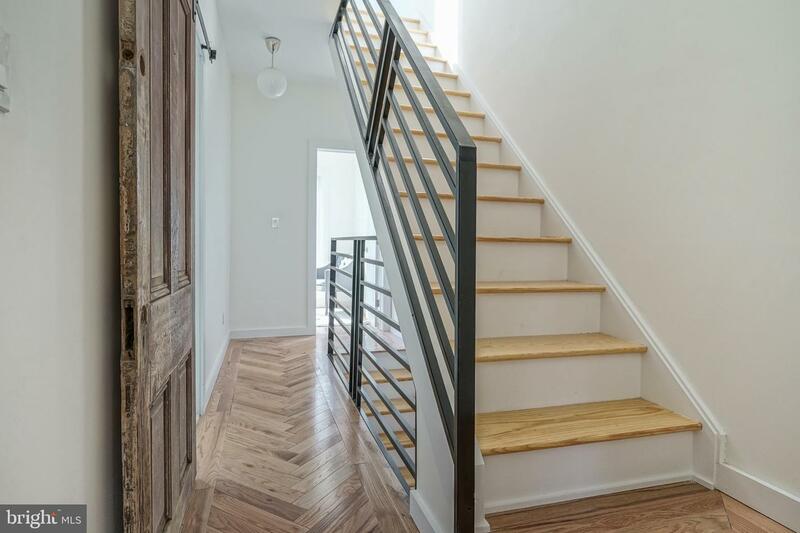 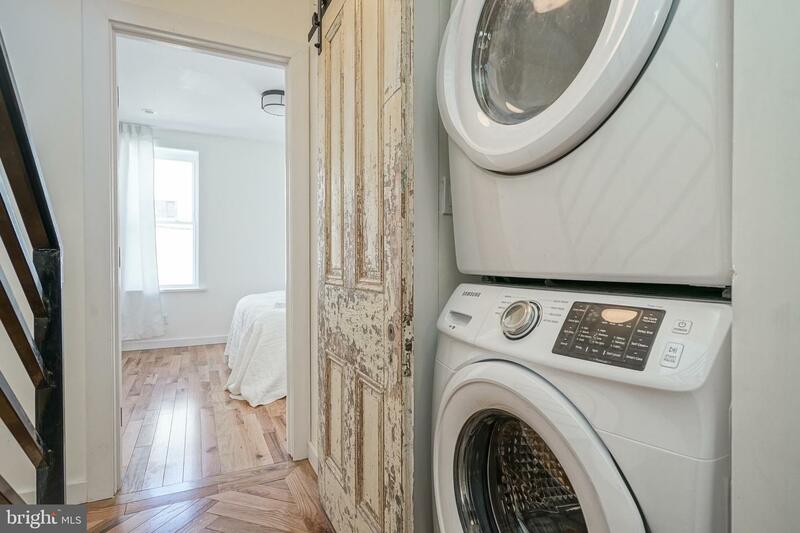 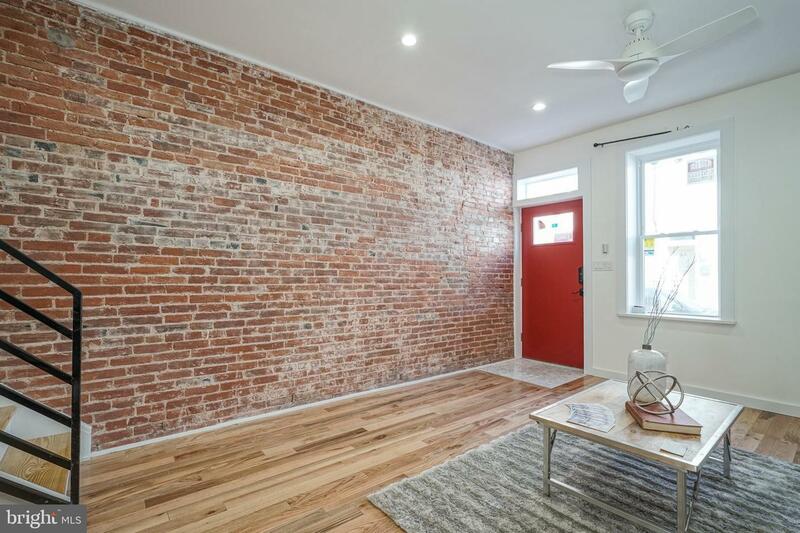 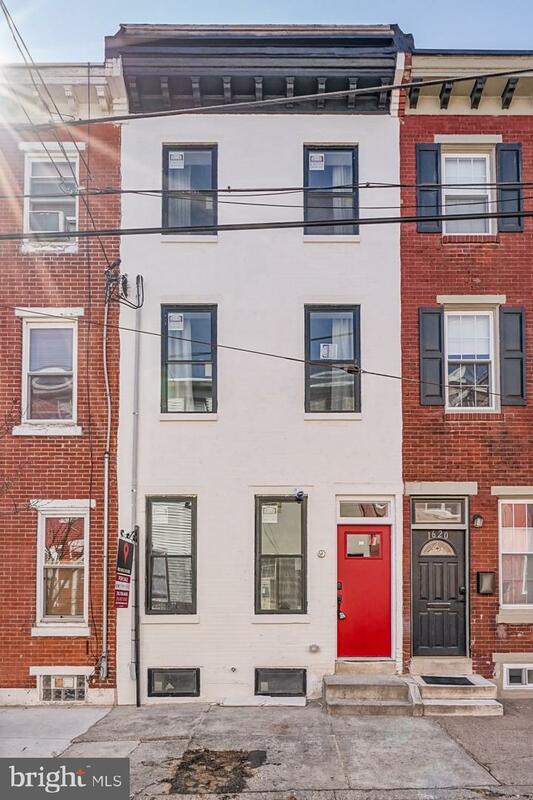 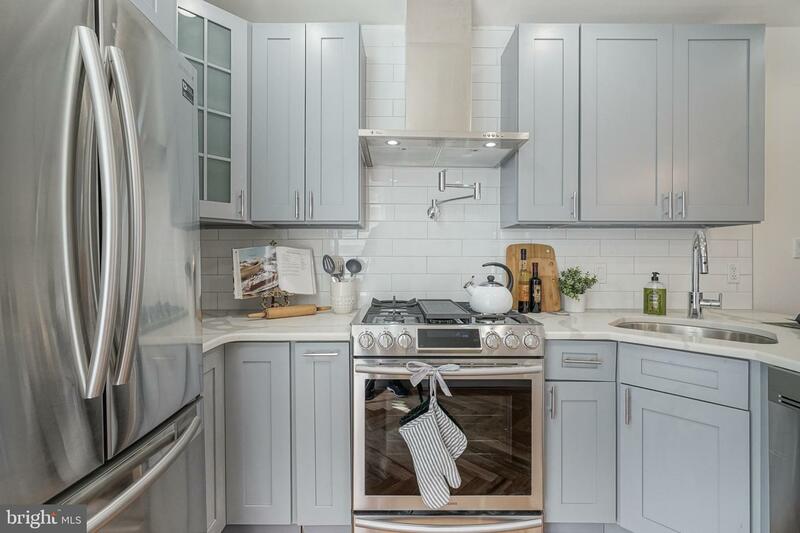 This newly renovated historic home on Swain street is filled with character featuring reclaimed barn doors over 100 years old, as well as expertly laid herringbone floor patterns that highlight the upstairs hallways and kitchen area. 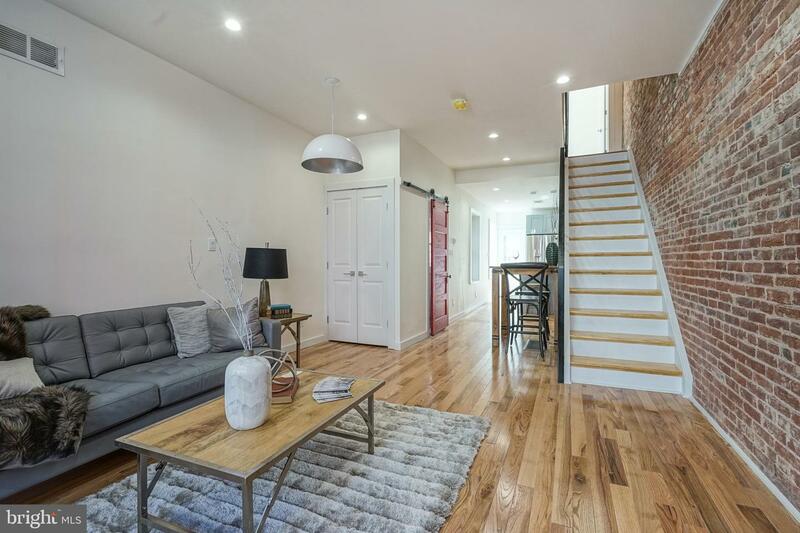 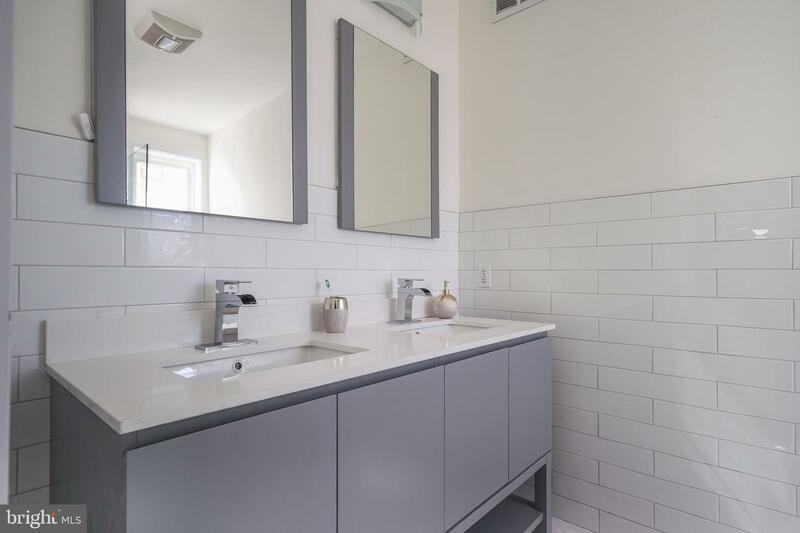 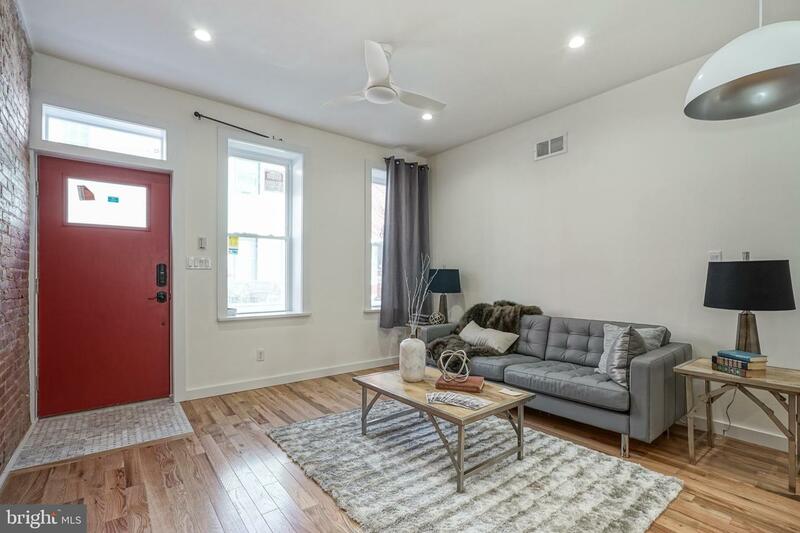 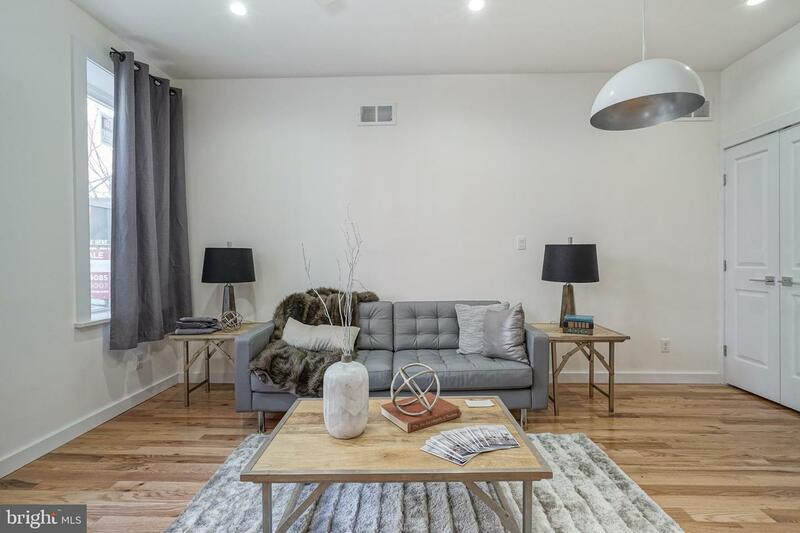 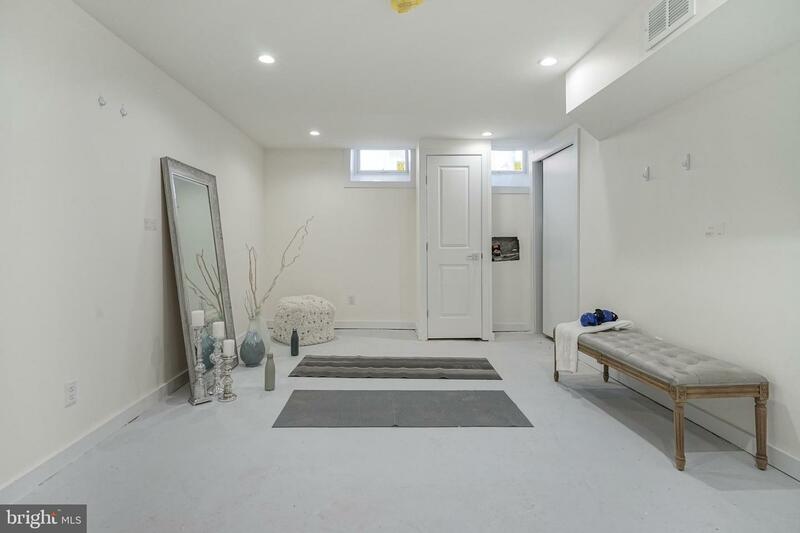 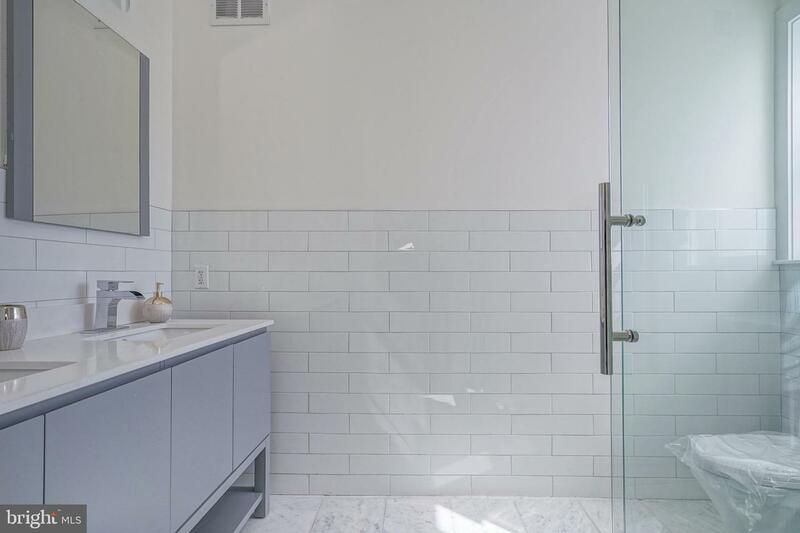 The house's traditional layout now features a modern, open-concept first floor where an exposed brick entryway leads to a bright, spacious living room complete with convenient first-floor powder room. 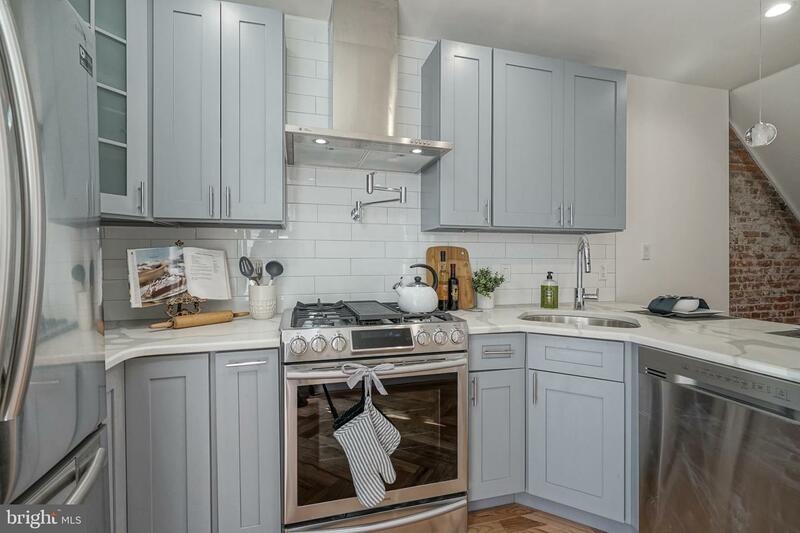 The roomy, contemporary kitchen boasts Shaker cabinets, all new stainless appliances and L-Shaped quartz countertop that's great for entertaining. 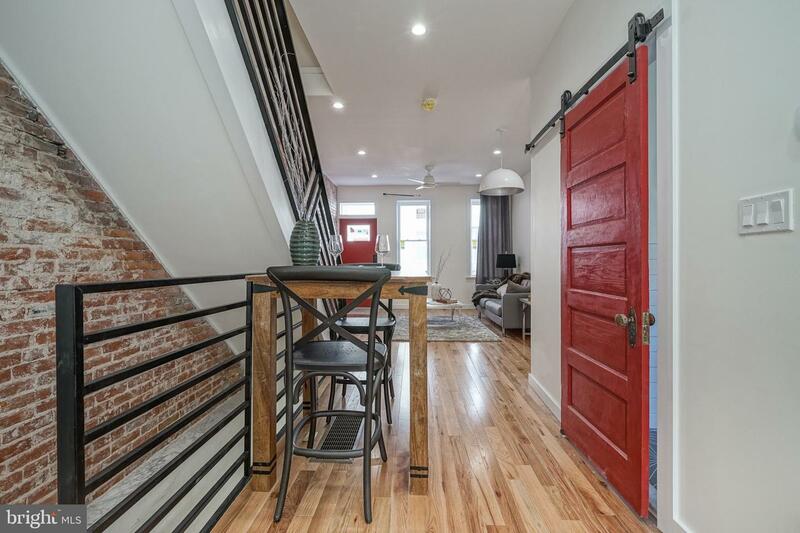 Off the kitchen, doors open to a fresh backyard space. 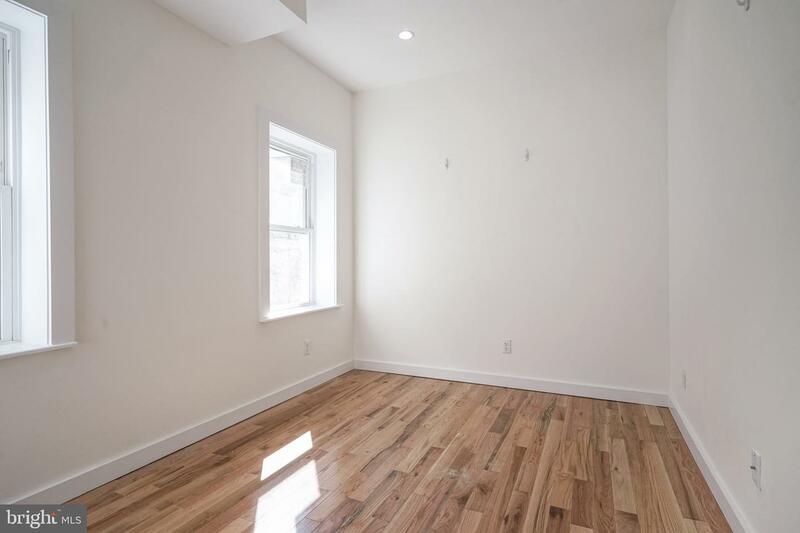 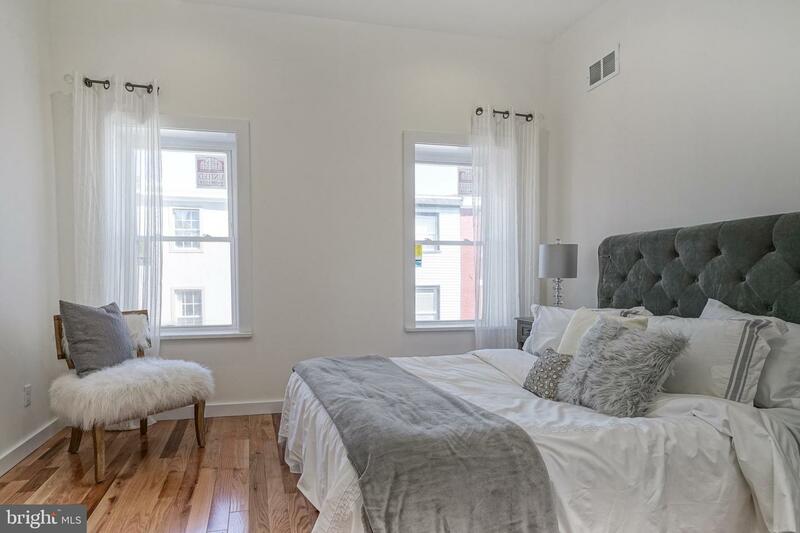 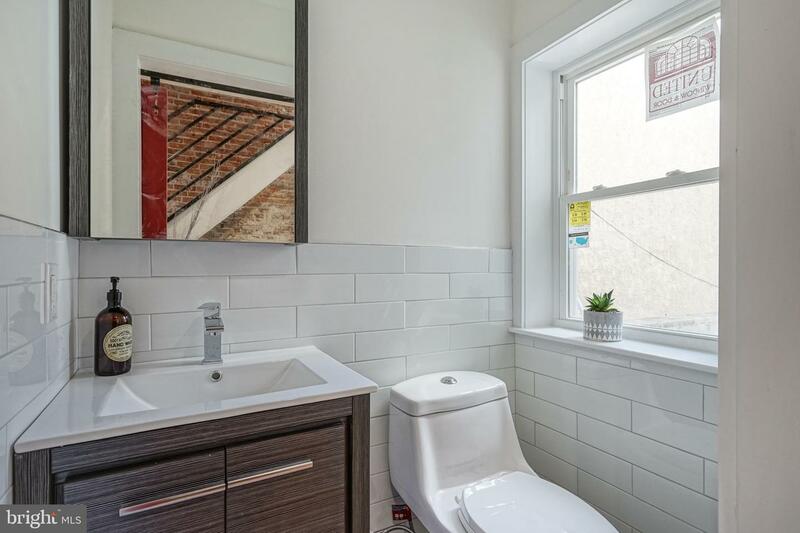 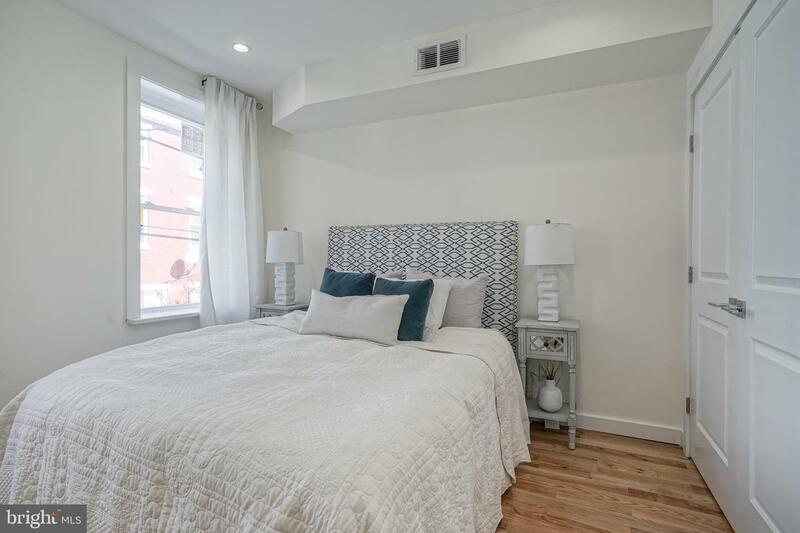 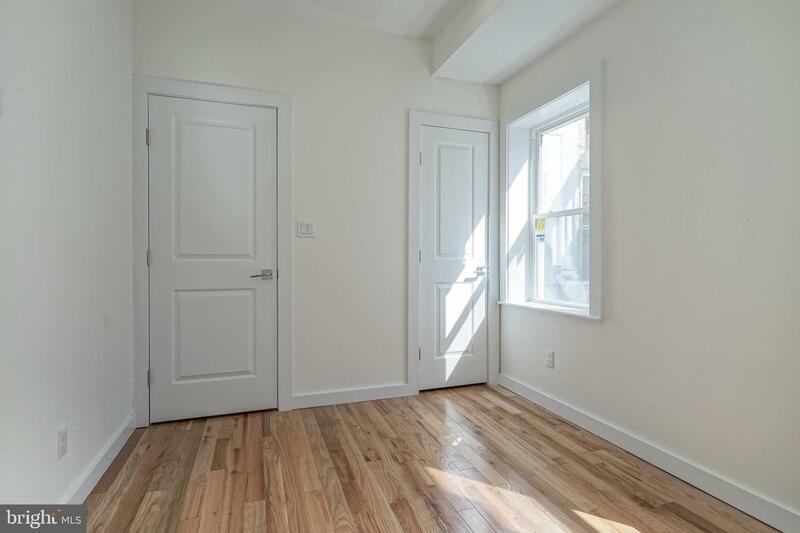 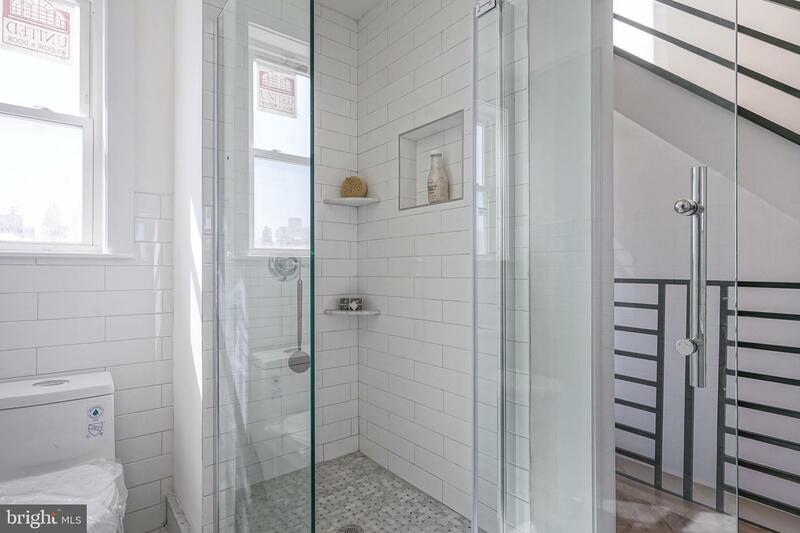 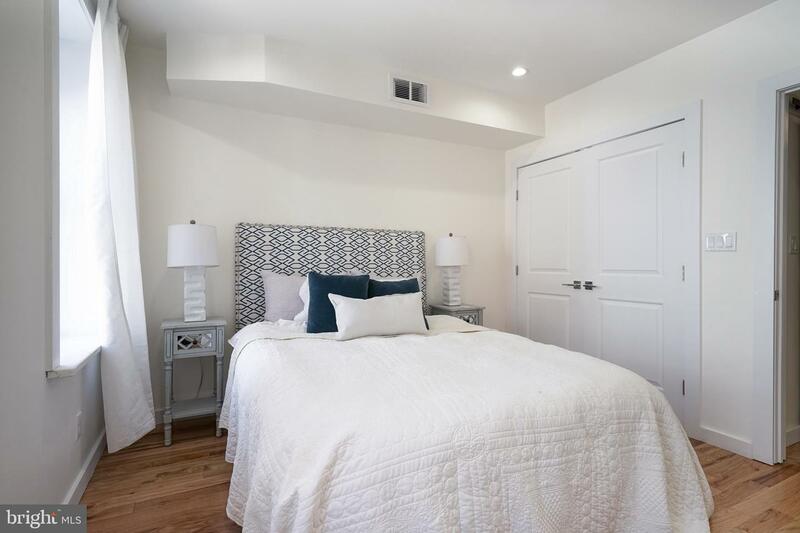 The second floor features hardwood floors and two bedrooms divided by a spacious hall bath. 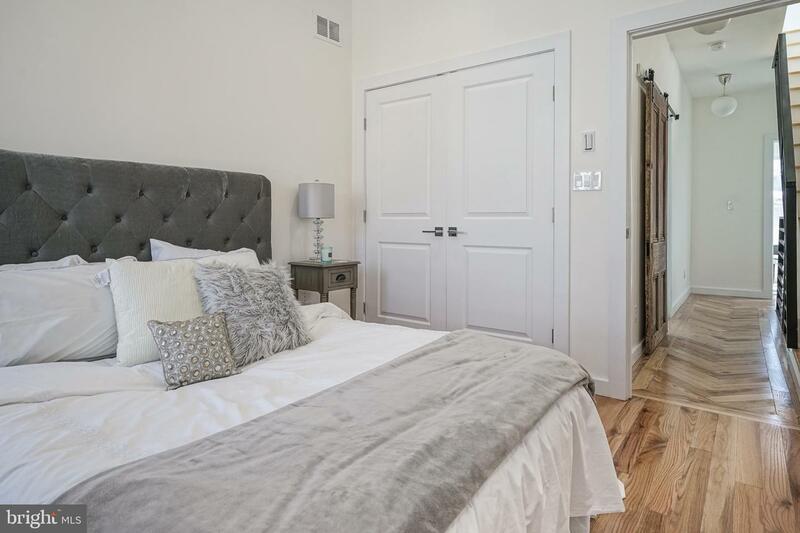 The third floor features two more bedrooms, including a spa-like en suite~bathroom in the master. 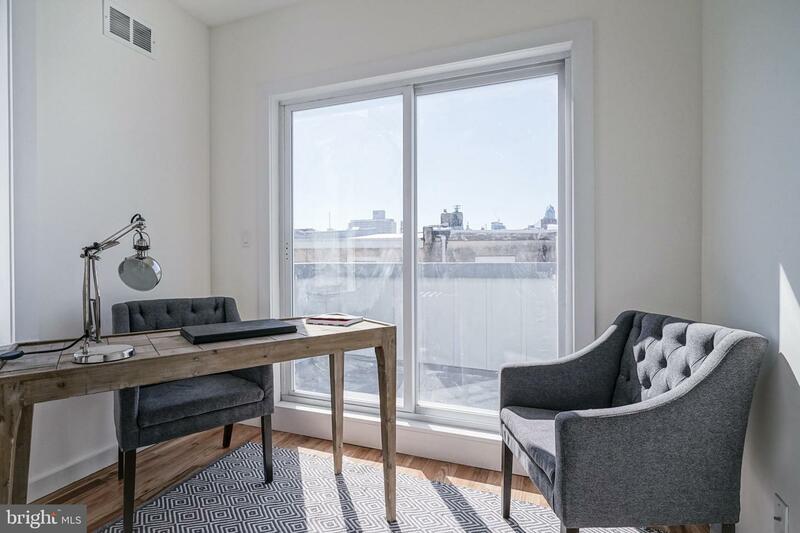 The back bedroom (currently staged as an office) has a private balcony. 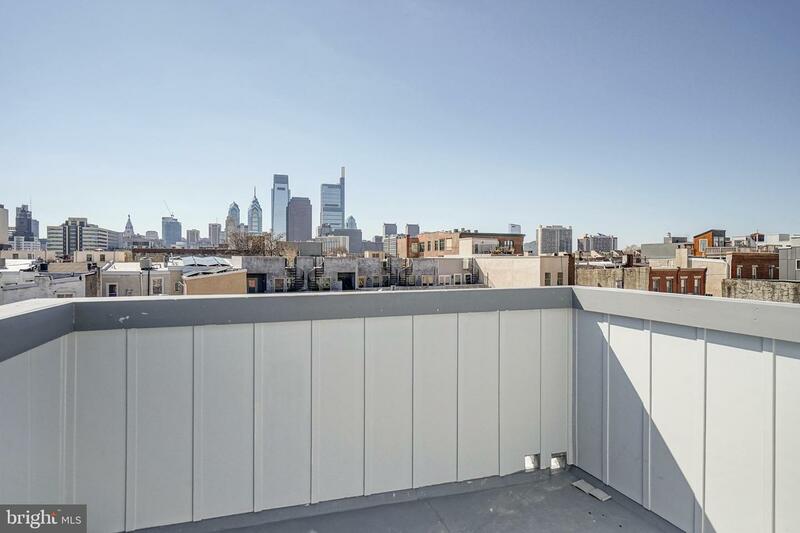 Atop it all is the property's enormous roof deck with spectacular Center City views. 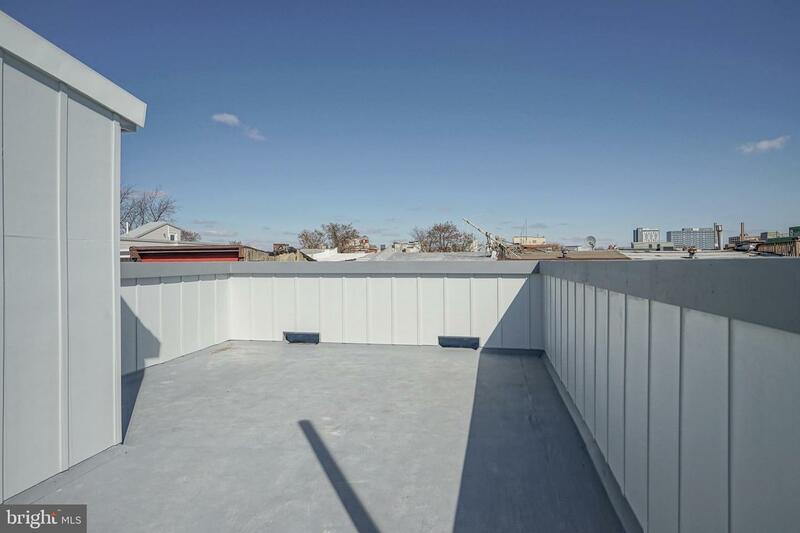 Also new: HVAC, Pex plumbing, electric. 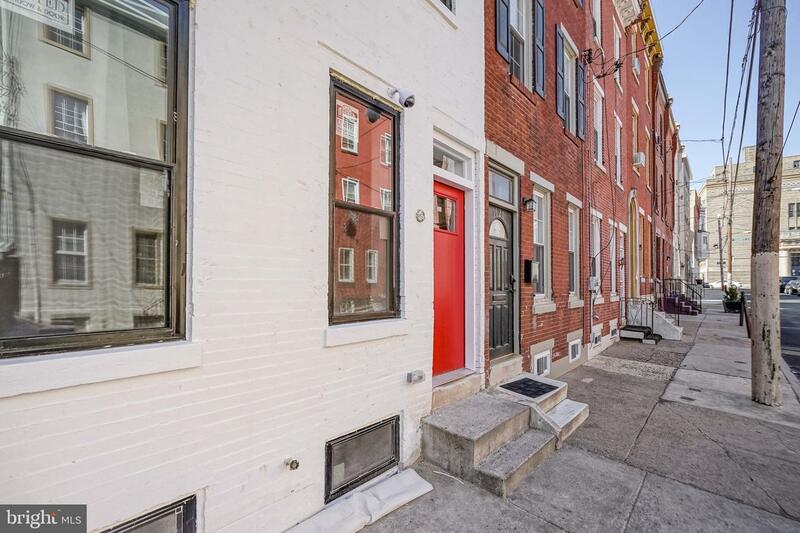 The property qualifies for the city's 10-year tax abatement.